This will be the last post for 2018! I can't believe we're already here. Since the studio will be on break the next couple weeks, the blog will be going silent until January as well. I hope you all enjoy a wonderful, peaceful break with your families. 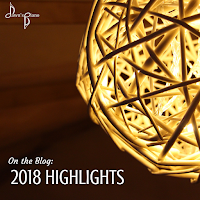 And like last year, I'm using this final post of 2018 to highlight some of the truly awesome things you all have accomplished this year. This year has definitely seen a lot of change for the studio. Here are some of the highlights! In choosing to implement the industry standard, flat rate tuition model, I had to think about how I was going to calculate the monthly tuition cost, and build in enough flexibility for the unforeseen cancellations that occasionally happen. 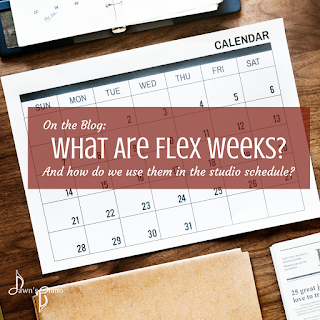 So I looked to the studio owners & business coaches wiser than me for some guidance and one tool that I saw being used very effectively in studios all over the world are flex weeks. Flex weeks are un-billed lessons that are built into the term where either parents or the studio can cancel a lesson if necessary without the loss of a paid lesson, or the need for a make-up. It offers us that flexibility when we need it. I chose to have 4 flex weeks built into the school year session, and 2 built into the summer session. 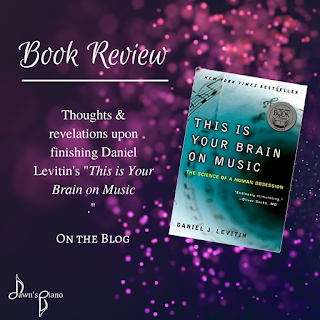 I recently finished up reading "This is Your Brain on Music" by Daniel Levitin, and I found some of the information he shares about what goes on in our brains when we listen to or make music to be really fascinating. So in this week's blog post, I'm sharing some of my favorite parts with you, and how they can relate to our work in learning to play the piano.